There are 5 elements in Chinese Medicine – Earth, Air, Water, Wood, Metal and Fire. Each element relates to an organ and an emotion and a colour. Here is just a brief picture of this. 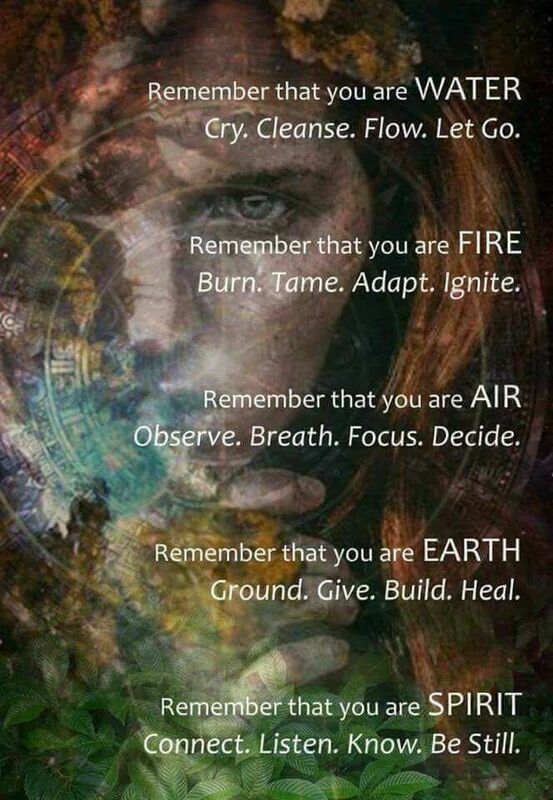 These are recommendations to balance each of the elements in our body… focus, pay attention to your body, breathe and rebalance.